From the 25th January, talented youngsters from the Whitley Bay area will take to the stage to wow audiences in Whitley Bay Scouts’ Gang Show Presents Showtime! With rehearsals almost complete, the curtains will soon be rising on the popular variety show running at Whitley Bay Playhouse. Those treading the boards will perform comedy sketches, dances and musical numbers and the gang are looking to put on another memorable performance. The 2018 show will include a variety of numbers including renditions of School of Rock and some well-loved ABBA hits, as well as some more traditional sketches. The 80 strong volunteer cast is made up principally of young people aged between 8 – 25 years old who are all members of the Scout Association. They are supported by over 40 adult volunteers who build the scenery, compose the music, choreograph the routines and make costumes and props. Showtime Producer Laura Keady Bennett said: “Showtime is a really entertaining, fun, family performance and definitely not what a lot of people expect. It doesn’t matter if your five or 95, if you enjoy good music, comedy and sketches, you’ll really enjoy the show. 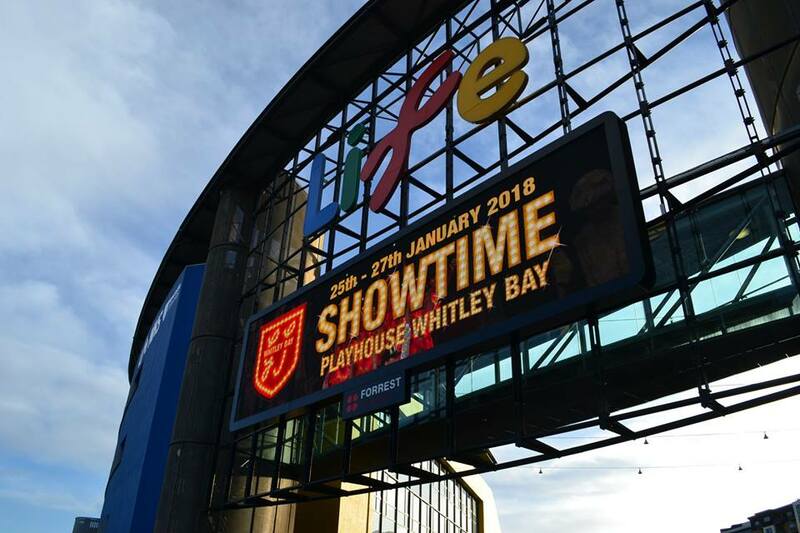 Tickets for Showtime, which will run from the 25th – 27th January at the Playhouse, Whitley Bay, are now on sale.